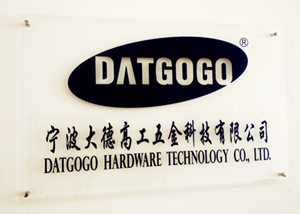 _Datgogo Hardware Technology Co., Ltd.
Datgogo is a professional hardware enterprise which was founded in 2007 by Chinese and international partners, with several specialized subsidiary factories providing steel, iron, plastic, aluminum, zinc and brass die-casting as well as machining, stamping, forging, injection and tooling realization. The company is located in eastern China in the international sea port city of Ningbo. Our oversea partner company Furniman is located in Sweden.